Please complete this form to create an account, receive FREE adventures and updates. It is our responsibility to protect your privacy and we guarantee that we will do everything in our power to keep your data completely confidential. The follow up to the HUGELY POPULAR High-Space first edition! In this thrilling new RPG, YOU play the renegade and reluctant hero fighting unimaginable threats to an ultra-high tech utopian world...just for kicks. Get High-Space 2.0. Over 240 pages of rich setting, edges, powers, starships, gear and fast, furious fun... in the far future! High-Space 2.0 Hardcover book . Over 240 pages of rich setting, edges, powers, starships, gear and fast, furious fun... in the far future! BONUS: Get the tablet-ready PDF of the core setting for free! 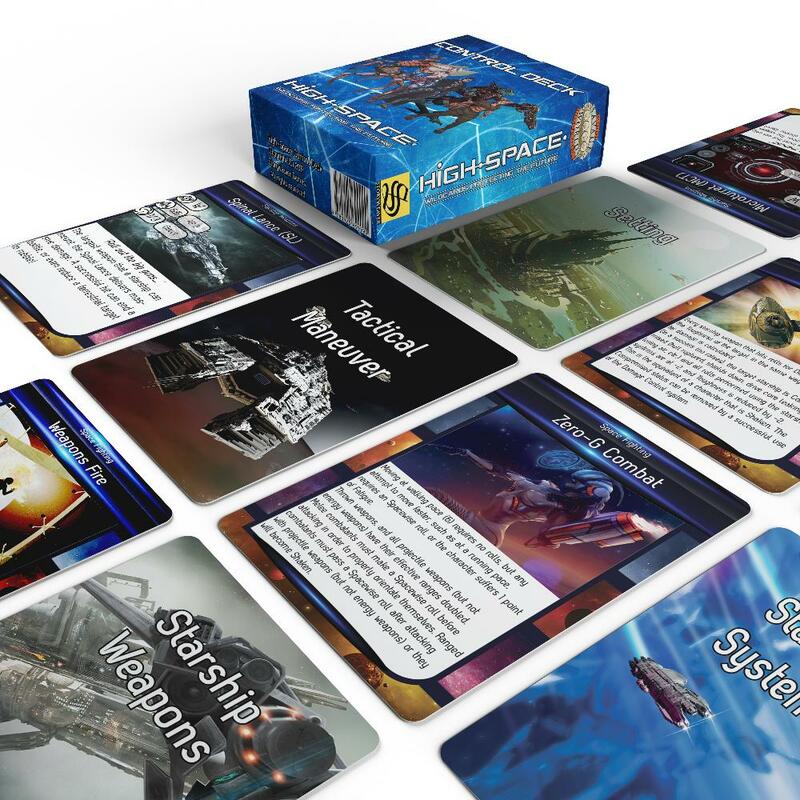 Pre-order High-Space 2.0 Hardcover book AND the Control Deck. 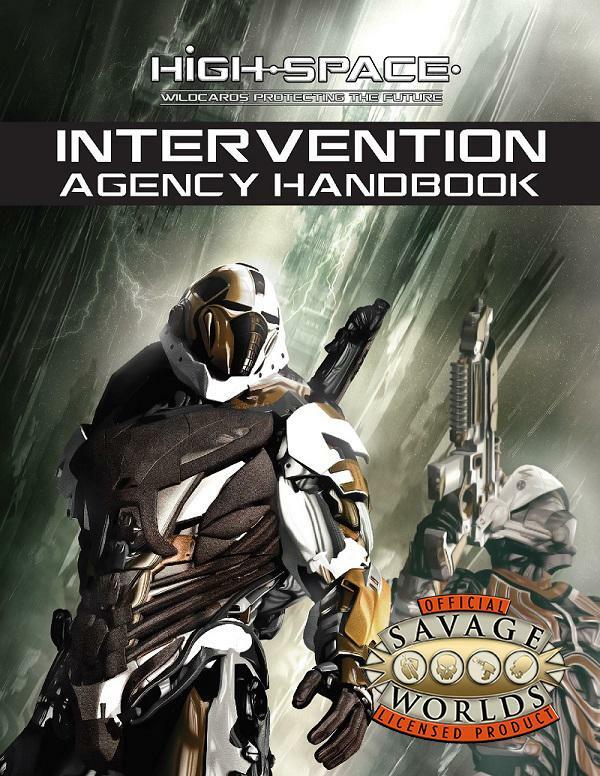 Over 240 pages of rich setting, edges, powers, starships, gear and fast, furious fun... in the far future! 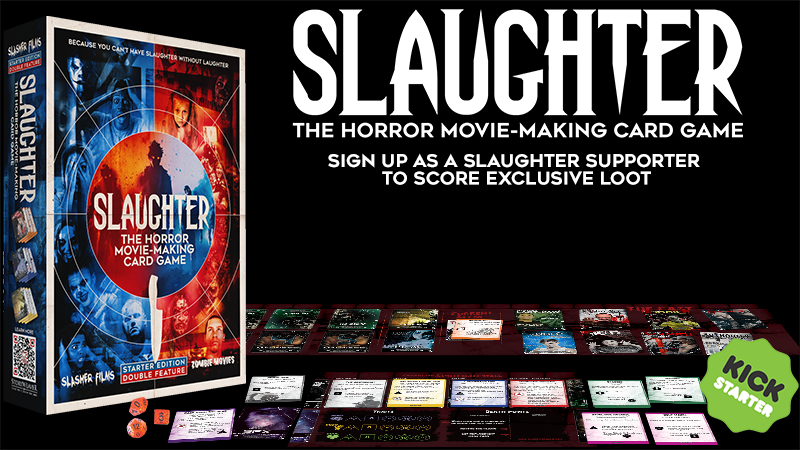 Plus the Control Deck gives you laser-fast access to essential game rules in a deck of 45 cards. 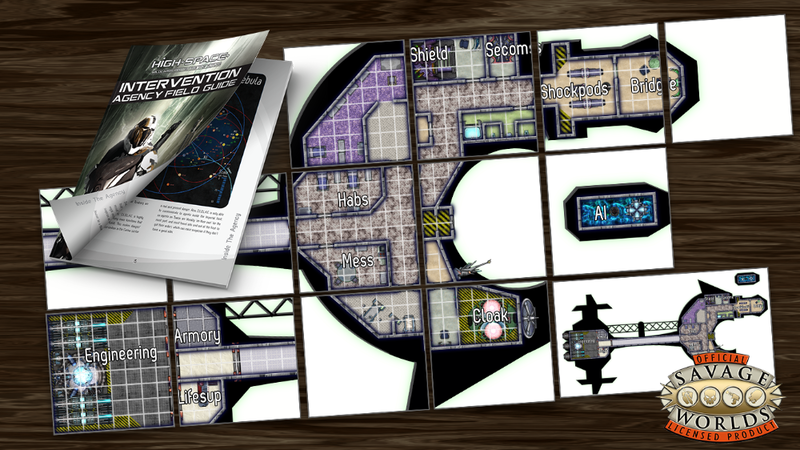 PLUS we will give you access to over 300MB of virtual tabletop assets for your games, including starship maps, system maps and more. 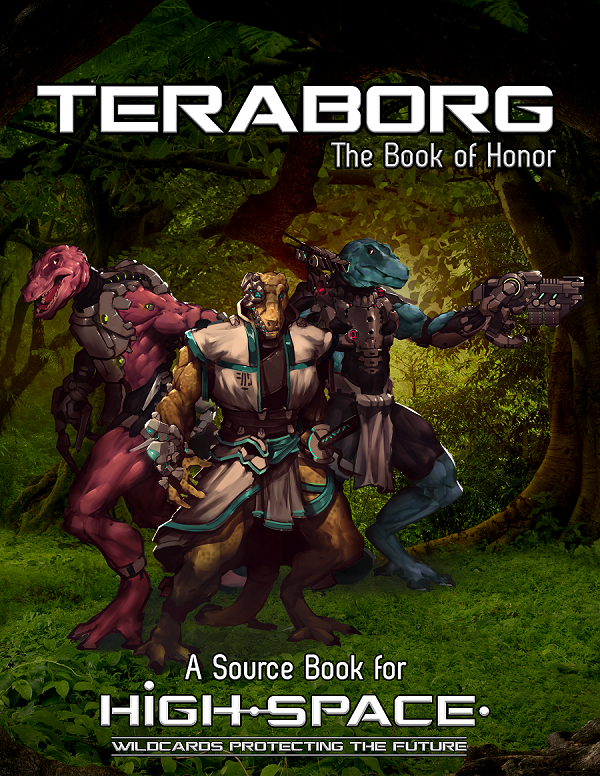 BONUS: Get the tablet-ready PDF of the core setting book for free! Wildcards Protecting the Future: Secret missions and black ops in the ultra-tech future. In this thrilling new RPG, YOU play the renegade and reluctant hero fighting unimaginable threats to an ultra-high tech utopian world...just for kicks. Sounds like a perfect life. But why are you so bored? Because you’re not like everyone else. You crave visceral, dangerous, and exciting new adventures. You’re one of the few outcasts...misfits known as the Wildcards. 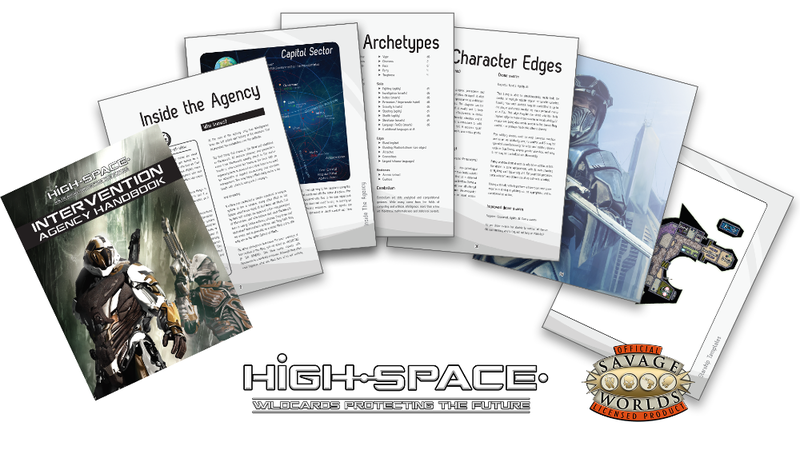 Welcome to High-Space: Wildcards Protecting the Future, the highly anticipated sequel of the popular High-Space sci-fi setting for Savage World. But you don’t officially exist..
the trillions of citizens of the PanDominion. inner workings of an Agency where anything goes. Buy NOW at the launch price of just $10 PLUS get 148 pages of BONUS sci-fi battlemaps for your table! 56 pages of top secret info! BONUS! 148 Pages of Battlemap Tiles for you games! 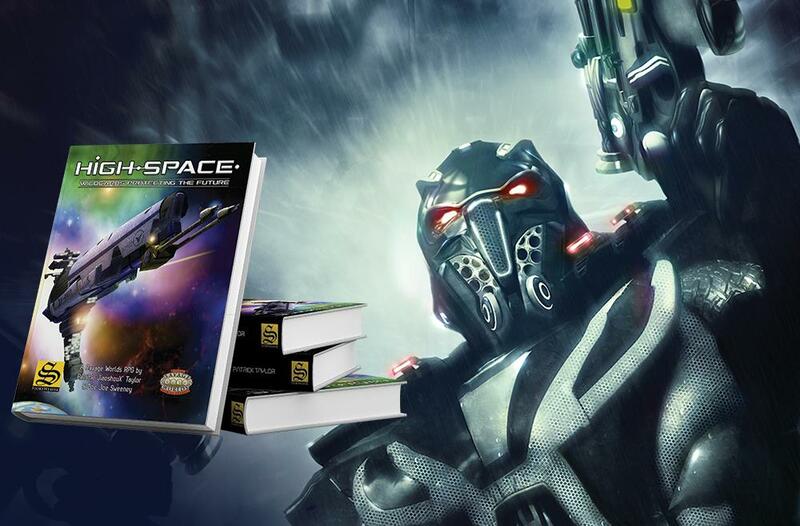 High-Space 2.0 Hardcover is now available! Over 240 pages of rich setting, edges, powers, starships, gear and fast, furious fun... in the far future! Keep your games running at light-speed with the High-Space Control Deck. All the essential rules for starships, space combat and essential setting rules on 45 quick-reference cards. Want to play a cybernetically-enhanced raptor from space? Delve into the culture of the Galaxy's ultimate hunter-techs and learn the secrets of the Imperial Nest. Everything you need to bring the Teraborg to life in your games.